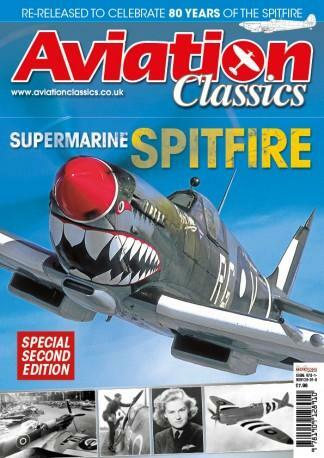 In this special re-printed issue from the ‘Aviation Classics’ series we celebrate the 80th anniversary of the Second World War’s most famous fighter – the iconic ‘Supermarine Spitfire’. ‘Fiery-tempered’, ‘easily aroused to anger’, ‘a device that emits fire – especially from a cannon’. Just some of the terms used to describe the Spitfire. An aircraft with a personality all of its own – docile at times, swift and deadly at others. A fighting machine ‘par excellence’. Be the first person to tell us what you think about Supermarine Spitfire reprint and you'll save £2.50 on your next purchase! Your subscription will begin with the next available issue. Please expect delivery in the next 2-3 weeks.